Brian Kiely was a foundation member of the of the North Beach Amateur Football Club in 1964 and played in the first game for the club on 24th April 1965 in D Division. Brian coached for seven years: 1966, 1967, 1969 and 1970 in D Grade, 1971 in C Grade, 1973 and 1974 in B Grade. Brian played 227 games with the North Beach Amateur Football Club from 1965-1981. 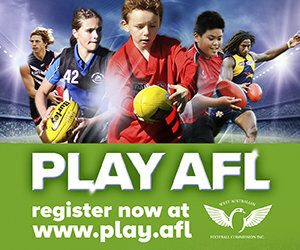 He spent a year in 1968 with the Floreat Amateur Football Club where he played 18 games. He was captain for seven years and won the North Beach fairest and best award in 1965, 1969, 1972, 1973 and 1978 as well as finishing as runner up on four occasions. 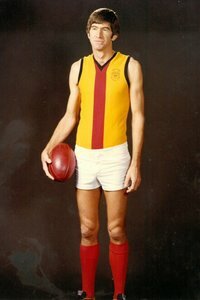 He won the WAAFL fairest and best player for D Grade in 1966 and 1969, C Grade in 1971, the B Grade in 1972 and the A2 medal in 1976, as well as finishing runner up on three occasions. Brian won the best clubman award at North Beach in 1970 and 1972 and was made a life member of North Beach in 1972. He was vice president of the club from 1976-1979 and club president from 1980 - 1983. Brian Kiely is inducted into the WAAFL Hall of Champions as a Champion.